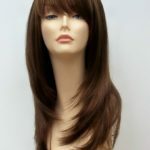 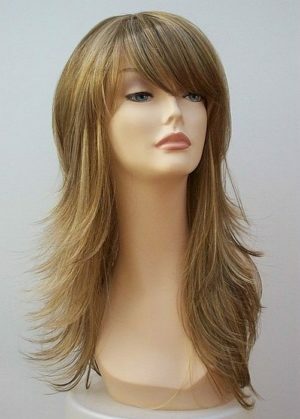 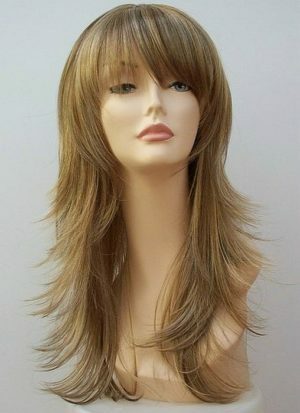 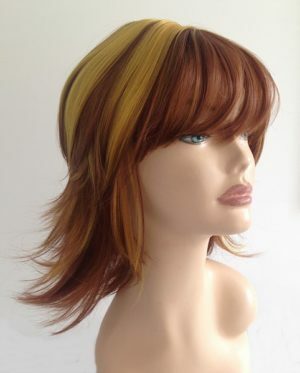 Ladies modern wig Alexis ladies trendy full wig. 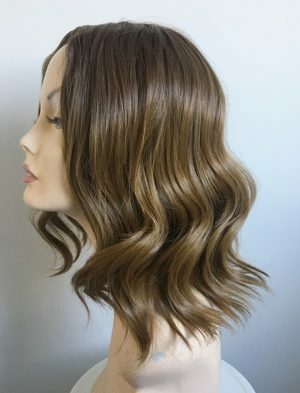 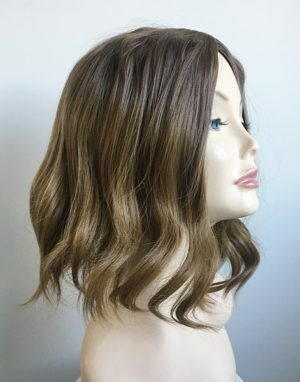 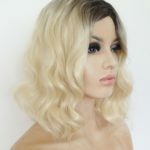 Absolutely stunning modern ladies wig Alexis is short cut wig at the back of the style with longer sides and top, natural ash brown tones with blonde highlights, longer fringe style. 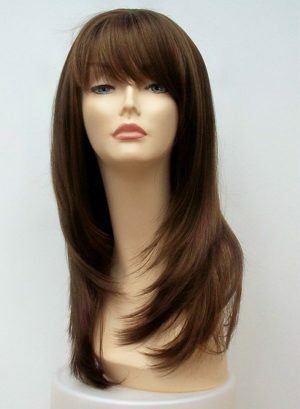 A perfect ladies wig with sassy style! 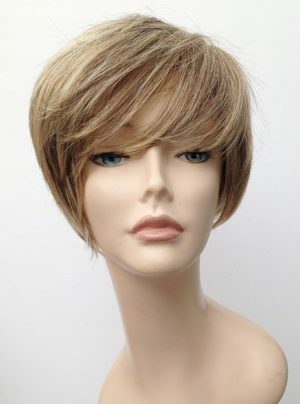 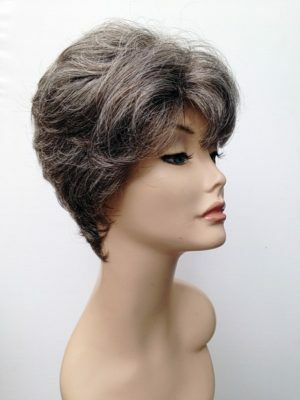 Classic styled ladies short grey wig, lightweight layered wig. 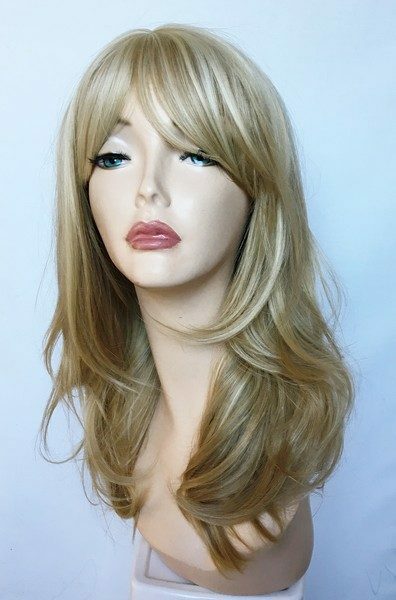 Wonderful ladies elegant full wig. 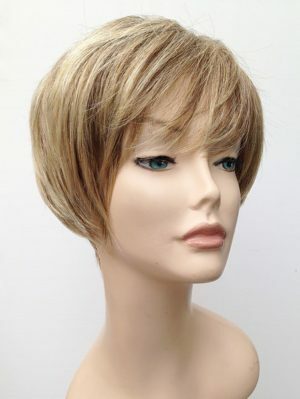 Modern ladies mid length bob style wig, skin top parting and no fringe. 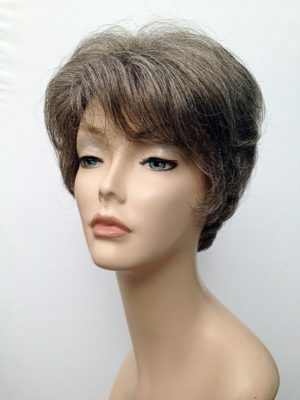 A superb ladies fashion wig, pre-styled, easy to wear and bang on trend. 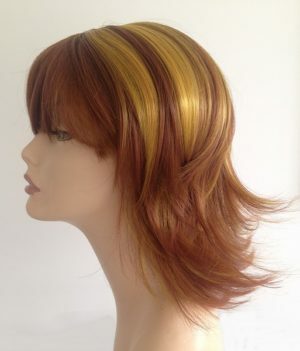 Modern style, loose curl longer bob without fringe, skip top parting. 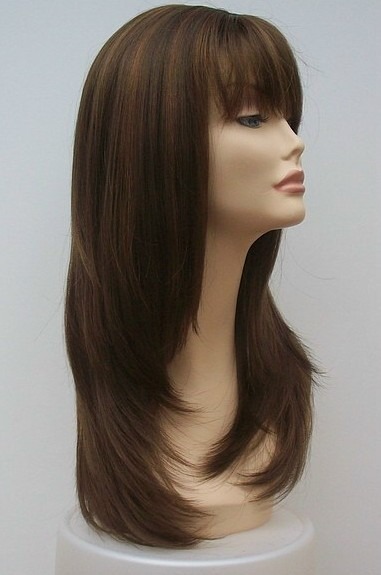 Ladies fashionable dip dye mid length fashion wig, dark roots to lighter colours. 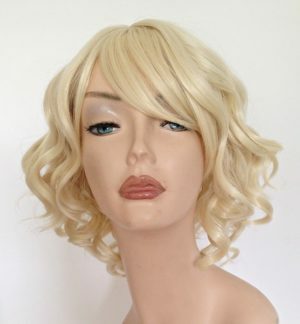 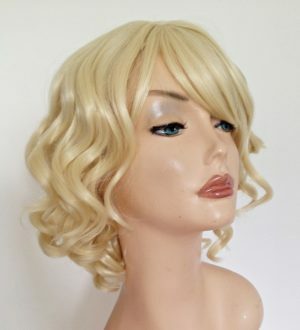 Modern ladies mid length curly style wig, skin top parting and fringe. 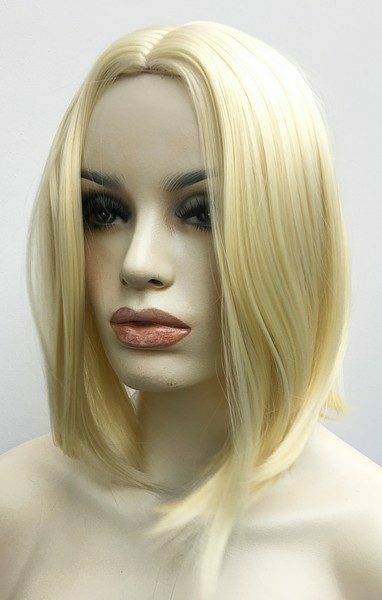 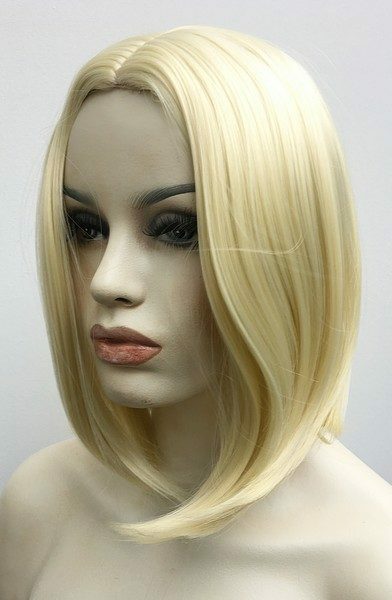 Lightest blonde fashion wig Sienna. 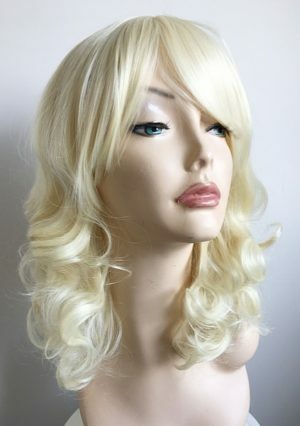 Modern ladies mid length wig Sienna has a stylish curl design, lightest blonde colour shade, skin top parting and fringe. 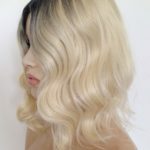 Lola mid length wig flick layers. 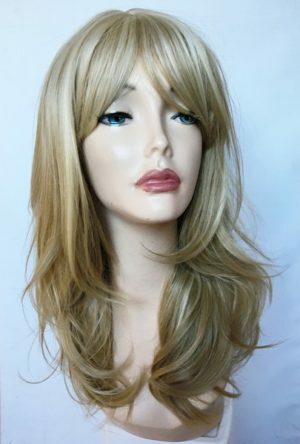 Modern ladies mid length wig has straight flick layer styling, fringe detail and made from high quality heat resistant fibre. 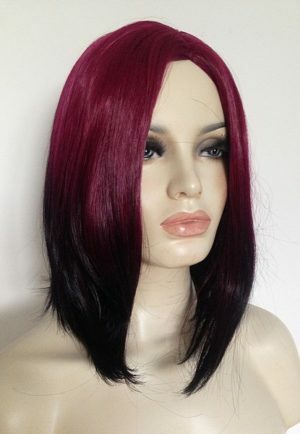 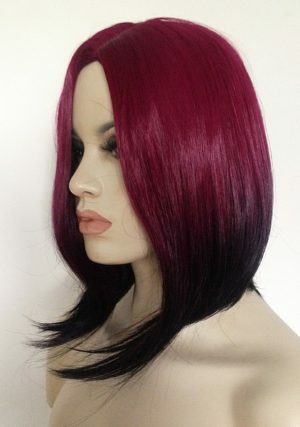 Modern ladies long bob style wig, fantastic colour blends from bright reddish pink tones through to darkest brown/black tips, longer bob style, no fringe and skin top parting. 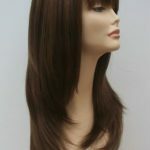 Synthetic wigs are washable and so easy to care for, all our wigs come with simple step by step washing instructions.